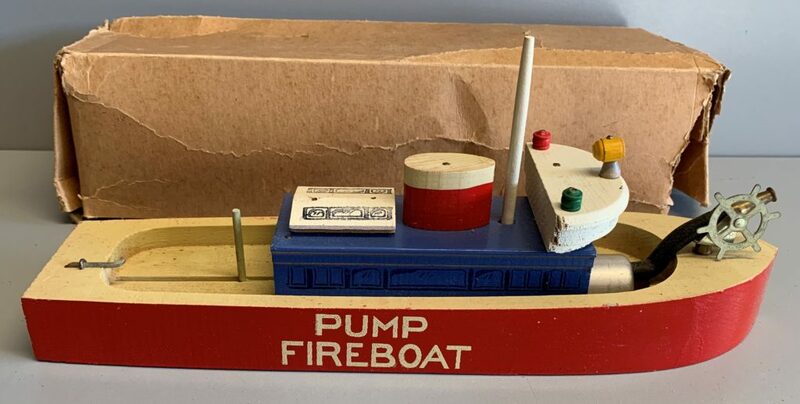 This is a Keystone Pump Fireboat Model #643. It is about as clean as they come. 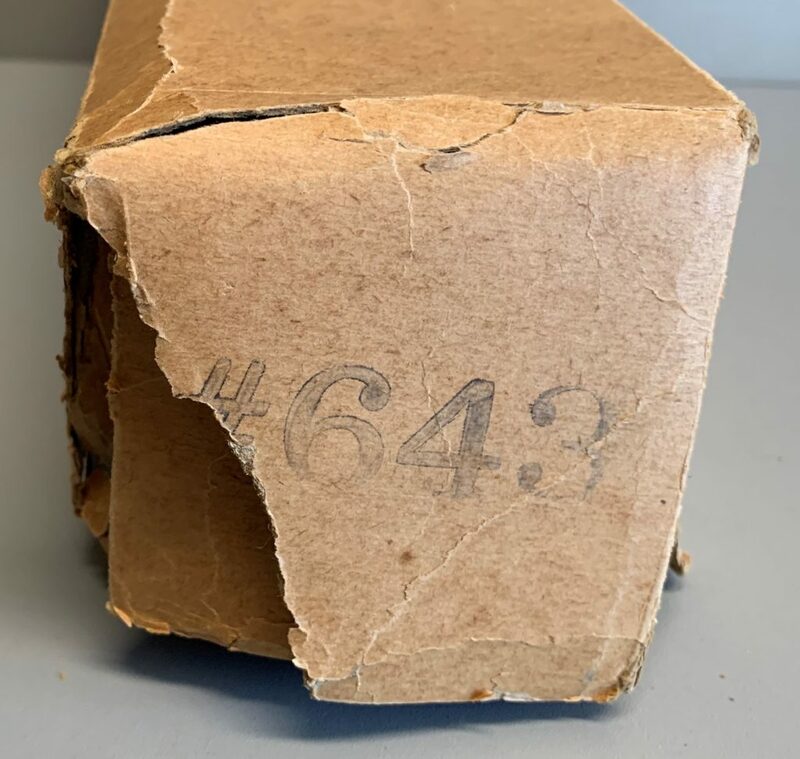 I’m inclined to think it is NOS. It measures 12″ by 3.25″. The lever in the stern would be pulled back to fill the pump in the bow and when released shot water out the hose on the bow. The water would be drawn up through a hole in the bottom of the hull.